Ever heard of the Y. S. Star Zigzagger Attachment? Neither had I until I acquired one about a month ago. Since then, I have been just having a wonderful time! I would compare it to the Singer Swiss made zigzagger - light and with cute little sewer plates (templates). They go in the back of the attachment with just a simple push and click. 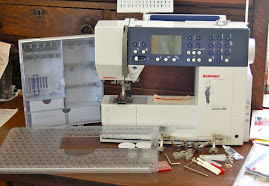 Whenever I wanted to do some straight stitching, I took out the plate and didn't even have to take the attachment off. There are seven sewer plates and each one is sew much fun! I made some placemats and matching napkins and just added a design to the edge, right over my hem. Looked good enough to do more for some holiday gifts. So far the internet search has not turned up any more information on this manufacturer. The box only says, "Y. S. Star" and the attachment is Y. S. - 7. So, maybe there are more of these little beauties around somewhere? Send me an email if you have any or have used this zigzagger. I love it! I felt I had good control of where the stitch line was. I will continue to play with this little darling until sold. I will be sending it to some lucky person who can appreciate it as I have, and do. Find it here. 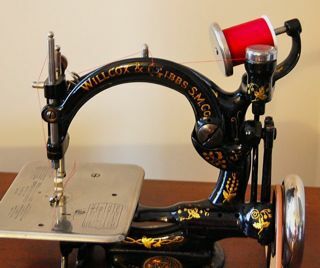 Oh, it fits all low shank sewing machines. 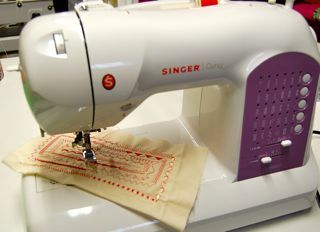 So, my lovely little Singer featherweight just loves it! It is very light, just like it. Now, back to the reorganization of the sewing room. Whew! 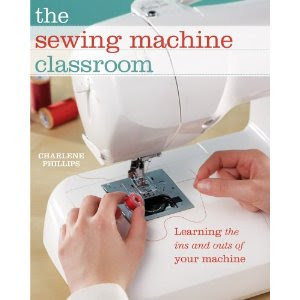 Are all sewers just stashers of fabric, trimmings, sewing accessories, and attachments? 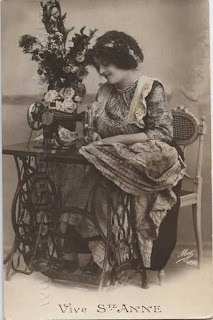 Oh, don't forget the collection of sewing machines! Maybe when I get a little more organized, I will share what I have accomplished. For now, what does your room look like? 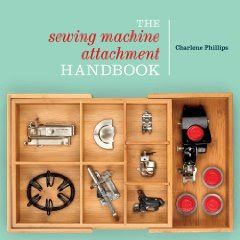 How do you organize your sewing attachments? Send some pics and I will post! Good, bad, or indifferent - we are all just fellow sewers! I just heard from F+W Media and they have a super VIP promotional code just for you! You can get a whopping 25% off your order from their website. 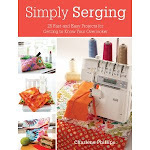 Go to http://www.mycraftivity.com/ (also just a fun place to hang out for some cool tips) and enter the code VPNOV at checkout. Who doesn't love a sale! I love the Y.S. Star Zigzagger. It works so well and is easy to use. 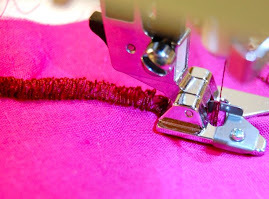 You will enjoy the stitches it makes.